In textile production, the short length fibers or continuous filaments are spun into yarn and then woven, knitted or bonded into fabric. The stage at which coloration or dyeing or wet processing is carried out depends on several factors, the fashion and economics being most important. The merchants prefer to postpone the decision of coloration as long as possible in order to cater for the dictates of fashion and fabric dyeing facilitates this. Man-made fibers can be dyed at all the above stages, whereas only the stages (4) to (8) are suitable for natural fibers. The earliest stage at which synthetic filaments can be continuously dyed is in the form of a water-swollen gel before stretching. Little has been published about these processes because they form a part of the fiber manufacturing process. 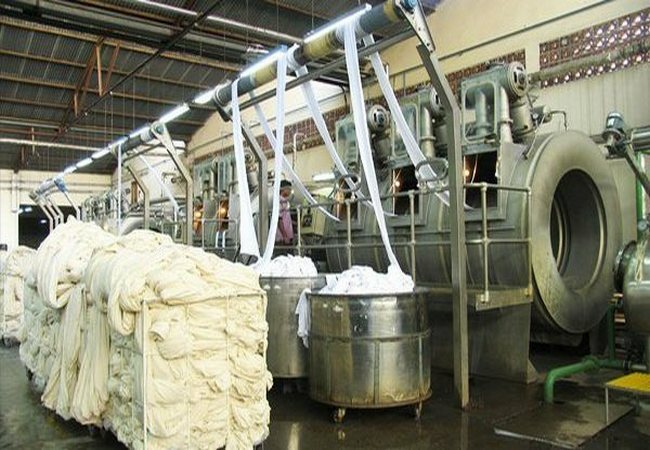 In volume terms, the major routes are gel, tow and loose-stock dyeing, with yarn and fabric dyeing forming the next most important segments of the industry. Dyeing textiles in the form of fabric or garment form offers the processor maximum flexibility in responding quickly to changes in fashion and market. Suitability of the stage for the particular fiber and end product. The relative importance of different methods of coloration also depends on market demand. The progress in gel-dyeing techniques has resulted in a market decline in yarn-dyeing capacity and some decrease in loose-stock dyeing. Continuous top dyeing has declined dramatically, mainly because of cost. Batch wise tow-dyeing processes have at least held their share of the market, with modest increase in certain European countries. Mass coloration was a natural development following commercial manufacture of man-made fibers. The addition of inorganic and organic pigments to the polymer solution is a relatively simple means of coloring the extruded filaments. The final product is characterized by the very high level of color fastness, with the pigment entrapped within the polymer. Mass coloration is carried out in the fiber spinning machinery and as such no special machine is required for the operation. This is truly not a dying process. Loose stock, top and tow can be dyed both batch wise as well as continuously. The batch wise dyeing is carried out in circulating liquor machines. The continuous dyeing unit is essentially the same for all physical forms. This consists of a pad application for the dye solution, drying, fixation by steam or dry air, washing off and re-application of finish.